Among the key improvements for the 2018 Land Rover Discovery Sport is the addition of two new Ingenium gasoline engines. The all-new Jaguar Land Rover 2.0-liter four-cylinder Ingenium gas engine — mated to a ZF® nine-speed automatic transmission — delivers 237 horsepower and 251 lb-ft of torque. For the Land Rover Discovery Sport HSE and Discovery Sport HSE Luxury, there is an available 2.0-liter four-cylinder that ups output to 286 horsepower and 295 lb-ft of torque. Whichever you choose, the Discover Sport is a spirited and sprightly performer. New for the 2018 Land Rover Discovery Sport are a pair of Jaguar Land Rover 2.0-liter four-cylinder Ingenium gas engines, which deliver an exceptional balance between power and efficiency. The 2018 Land Rover Discovery Sport, for the first time, adds four-way lumbar adjustment as a standard feature for all seating positions while also making available new 12-way power seats. Drivers who select the Land Rover Discovery Sport HSE or Discovery Sport HSE Luxury with 286-horsepower engine will be upgraded to a “dynamic” interior that adds Windsor Leather seats with contrasting micro-piping and Triton-grain trim finishers and door inserts for a more energetic look. The Land Rover Discovery Sport is Land Rover’s fastest-selling vehicle; in the hopes of helping it to sell even more quickly in 2018, the new Discovery Sport sees significant updates to the interior that emphasize improving luxury and contentment. Though it is to a large extent focused on luxury and performance, the 2018 Land Rover Discovery Sport is a capable and versatile utility vehicle that can handle whatever your personal or professional life throws its way. When properly equipped, the Discovery Sport can tow up to 4,409 pounds, and available Trailer Stability Assist provides additional peace of mind for precious cargo. If you need to get down and dirty, All-Terrain Progress Control (ATPC) provides surefootedness on everything from gravel to snow and sand. The Land Rover Discovery Sport can also comfortably seat up to six passengers or provide up to 60 cubic feet of storage, and plenty in between. 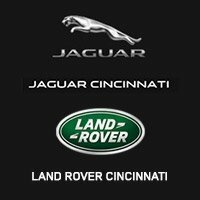 Call 513-791-1000 To Learn More about the 2018 Land Rover Discovery Sport.